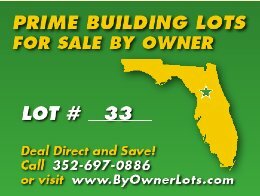 All of our on site "for sale" signs have a lot # to designate where the property is located. This is not the actual lot number, it's simply a number used to make it easier for the buyer to tell us what lot they are interested in. When you click on the "View Details" link you will get the parcel id number which will include the actual lot and block number.